Havana's Artisan Market, located in Parque Céspedes between Avenida Del Puerto and Tacón, offers visitors a chance to purchase many different types of handicrafts. The harbourfront market is a chance for local Cubanos to convert their talents into hard currency value as all prices are in Cuban Convertible Pesos (CUC). 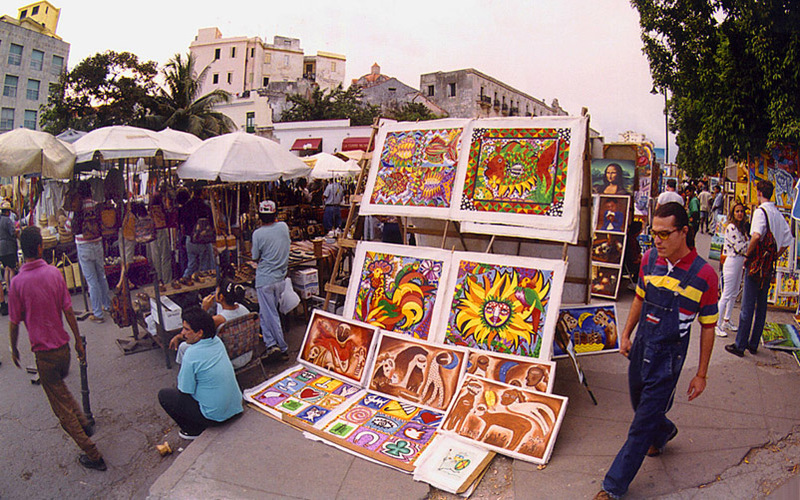 No trip to Habana Vieja is complete without wandering the park and looking at the talent of the local artisans.